A modern coffee with a large bay window overlooking a lively Beirut street. A screen hung on the wall broadcasting news. In this unique location and for 16 days / sequences, a general, aged 78, and an army doctor, 81, come to play crosswords in order to preserve their memory and fight against oblivion. Young people from different backgrounds come to the coffee; one of them is a journalist who has a crush on a young waitress. Once in a way, the two old man take a break and start observing, through the large bay window, the street : living scene of the city. 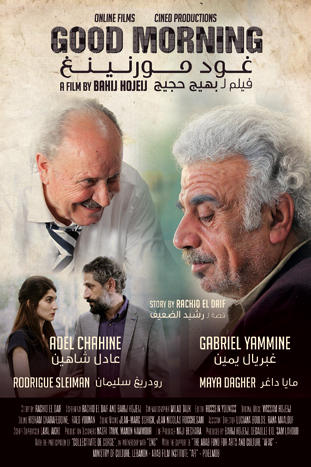 As the film progresses, we enter the thoughts of our two characters, confronted to a chaotic world and to disappearance: theirs, and that of a certain Lebanon and of a region filled with violence, terrorism and wars.